Arrunada Seminar: Corrado Malberti – What could be the next steps in the elaboration of a general theory of public registers? What could be the next steps in the elaboration of a general theory of public registers? From a lawyer’s perspective, one of the most important contributions of Arruñada’s Institutional Foundations of Impersonal Exchange is the creation of a general economic theory on public registers. Even if this work is principally focused on business registers and on registers concerning immovable property, many of the results professor Arruñada achieves could be easily extended to other registers already existing in many legal systems or at the transnational level. For example, a first extension of the theories proposed by professor Arruñada could be made by examining the functioning of the registers that collect information on the status and capacity of persons. A second field that should probably benefit from professor Arruñada’s achievements is that of public registers that operate at a transnational level and established by international treaties. In particular, in this second case, the reference is obviously to the Cape Town convention on International Interests in Mobile Equipment which will, and — to some extent — already has, resulted in the creation of different registers for the registrations of security interests for Aircrafts, Railway Rolling Stock, and Space Assets. In my view it will be important to test in what measure the solutions adopted for these registers are consistent with the results of Arruñada’s analysis. Corrado Malberti, Professor in Commercial Law. University of Luxembourg. Commissione Studi Consiglio Nazionale del Notariato. [T]he Dreamliner’s advocates came up with a development strategy that was supposed to be cheaper and quicker than the traditional approach: outsourcing. And Boeing didn’t outsource just the manufacturing of parts; it turned over the design, the engineering, and the manufacture of entire sections of the plane to some fifty “strategic partners.” Boeing itself ended up building less than forty per cent of the plane. This strategy was trumpeted as a reinvention of manufacturing. But while the finance guys loved it — since it meant that Boeing had to put up less money — it was a huge headache for the engineers. . . . The more complex a supply chain, the more chances there are for something to go wrong, and Boeing had far less control than it would have if more of the operation had been in-house. In other words, Boeing might have had the same problems with in-house production. “It is certainly possible that the Dreamliner’s current problems are derived from its design — it relies far more on electrical systems than Boeing’s previous planes — and that these problems would have been just as significant (and worse on the cost front) had Boeing sourced more sub-assemblies internally.” Hubbard’s essay includes a number of additional insights derived from modern theories of the firm, such as the Williamsonian idea that adaptation is the central issue distinguishing markets from hierarchies. So, the next time you read that firms should vertically integrate to maintain quality, as yourself, are employees always easier to control than subcontractors? Arrunada Seminar: Matteo Rizzolli – Will ICT Make Registries Irrelevant? Will ICT Make Registries Irrelevant? With this brief post, I would like to add some further discussion on the role of new technologies and ICTs for the evolution of registries. The book of Prof Arrunada touches upon the issue in chapter 7 where the role of technical chance is tackled. He discusses mainly the challenges in implementing different degrees of automation in pre-compiling and lodging information from interested parties and even in automating decision-making by the registry itself. These challenges represent the costs of introducing ICTs in registries. In the book the benefits of ICTs for abating the costs of titling/recording are not discussed at length. Think of them in terms of the costs of gathering, entering, storing, organising and searching the data. I assume it is trivial to say that ICTs decrease the fixed and variable costs of registries even when some issues raised in the book are considered. In terms of the figure below (my elaboration of figure 5.1 on pg 133) this is equivalent to say that, thanks to ICTs, the black line representing the “Value of land under public titling” shifts upwards and therefore the “Indifference point for individual titling decisions” shifts leftward and makes registries more desirable. However, i think that an important effect of ICTs is neglected in this analysis. In fact ICTs are now pervasive in most transactions. Land is observed with all sorts of satellite technology and the movement of objects and people is traced in many ways. Communications, both formal and informal are also traced and information on companies is just one click away for most individuals. I don’t want to discuss philosophical, sociological or legal aspects of this information bonanza. Neither neglect that more information doesn’t mean better or more trustworthy information. On the other I think we can agree that the quantity of information available to counterparts of a transaction is greatly increased and -more important- that verifiable evidence can be produced more easily should legal intervention in case of conflict arise. All this information windfall may -this is my hypothesis- decrease the costs of keeping transactions out of registries and therefore improve the value of transactions under privacy. 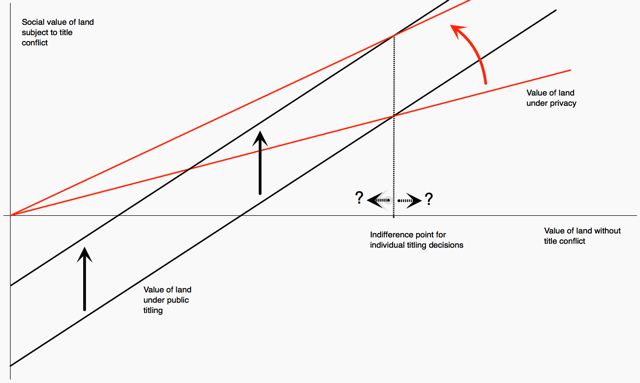 In terms of the figure below, this amounts to rotating the red line upwards and, as a result, shifting the “Indifference point for individual titling decisions” on the right. In a sense, ICTs both i) decrease the costs of registries and ii) makes registries less relevant. On balance, it is hard for me to say which effect of ICTs may prevail. I think however this could be a very interesting empirical question to research. Organizational economics involves the use of economic logic and methods to understand the existence, nature, design, and performance of organizations, especially managed ones. As this handbook documents, economists working on organizational issues have now generated a large volume of exciting research, both theoretical and empirical. However, organizational economics is not yet a fully recognized field in economics — for example, it has no Journal of Economic Literature classification number, and few doctoral programs offer courses in it. 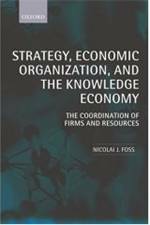 The intent of this handbook is to make the existing research in organizational economics more accessible to economists and thereby to promote further research and teaching in the field. This is a fair assessment, though some O&M readers may find the editors’ definition of the field too narrow. 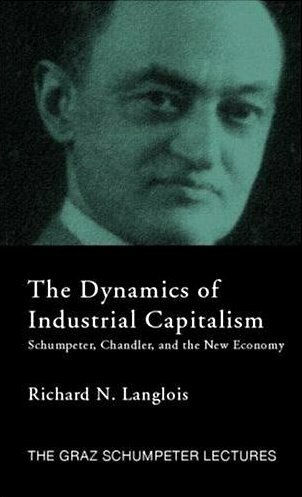 The volume covers a wide variety of issues, topics, and applications but nearly all from the perspective of modern neoclassical economics (there’s a chapter on TCE by Williamson and Steve Tadelis, but nothing on “old” property rights theory, capabilities, the knowledge-based view, etc.). Still, it appears to be an excellent collection of state-of-the-art papers. Besides the usual topics like incentives, authority, complementarity, innovation, ownership, vertical integration, and the like, there’s also an interesting methodological section featuring “Clinical Papers in Organizational Economics” by George Baker and Ricard Gil, “Experimental Organizational Economics” by Colin Camerer and RobertoWeber, and “Insider Econometrics by Casey Ichniowski and Kathy Shaw. Check it out.